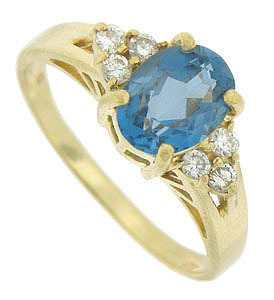 A radiant, oval cut blue topaz is set into the face of this handsome 14K yellow gold estate ring. 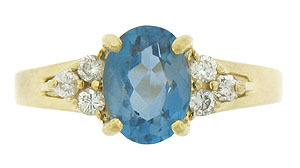 Trios of sparkling round cut diamonds press into the azure blue topaz. 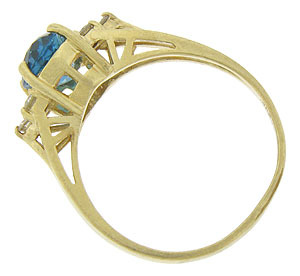 Bold weblike filigree adorns the sides of the ring. The ring measures 7.97 mm in width. Circa: 1980. Size 6 1/2. We can re-size.